When we started AltSchool, we had the lofty goal to create a place where parents would be more than happy to send their children; they might even be a little jealous of their children for getting to go. 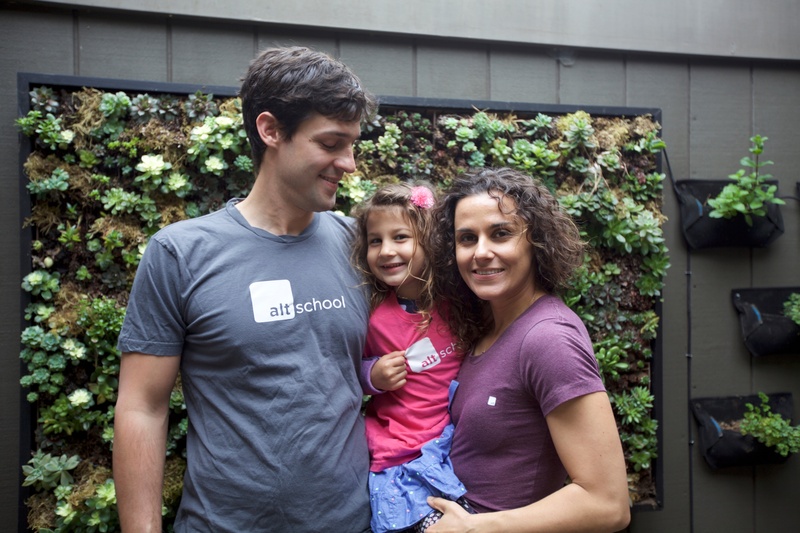 Three and a half years later, my daughter Sabine started at AltSchool this week. I feel that littlest bit of jealousy alongside enormous excitement. My daughter is so different from me, and the world she is growing up in is so different from that of my childhood. But, I am reassured knowing that Sabine goes to school with exceptional educators who have the freedom and support to prioritize her development. I am thrilled that, as my daughter grows and her passions and strengths evolve, my wife and I can expect her school experience to meet her needs academically and socially. I’m grateful that as a family, we can deeply engage in our daughter’s education while preserving flexibility for our family life. It is wonderful to get to be part of a school that is changing as fast as my child and the world around us. Every year, the AltSchool team looks back on the past twelve months and, in partnership with our school communities, we focus on the most meaningful changes we can make. We incorporate relevant research from the education space and explore what is possible as an organization with deep technical capabilities. To begin this school year better than the last, our engineers worked on tools that could enable the creation of a rich portrait of each student that could build in depth and breadth each year. As a parent, I am eager to be involved in the creation of that Portrait and to be able to follow my daughter’s journey. At AltSchool, Sabine will be with adults all day who model a growth mindset. As a parent, I am proud to be part of this 21st century approach to education that will empower not only my child but, with time, many many more children. I look forward to sharing the journey with all of the new and returning families at AltSchool both here in the Bay Area and in New York City.